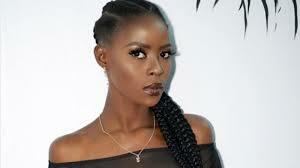 Khloe was one of the 10 female housemates that made it to the 2018 edition of the Big Brother Naija reality television show. Khloe’s disqualification came as a shock to her supporters and viewers of the show given that she and her partner, K-brule were sent packing before the Sunday live show. She and her partner were the only housemates to be disqualified from the show. However, a big twist which saw two evicted housemates return to the show brought her back to the house. 1. Khloe was born on October 29, 1993. 2. Her real name is Victoria Abiri Oluwabusayo, and She is from Ado Ekiti in Ekiti State. 4. Khloe while in the house was described as a conrtoversial housemate. She was also the first female head of house. 5. Khloe, alongside Anto, set record by becoming the first housemates to be recalled after being evicted from the BBNaija house. 6. Khloe is a model. She was a finalist at Miss Global Nigeria 2013. Michelle Udoka eventually won. She also lost Miss Charismatic Nigeria 2015 to Linda Nwaora. 7. Khloe is a video vixen She has featured in the music videos of top Nigerian artistes including: Davido, Wizkid, Patoranking, Shaydee, Banky W.